To join a World Cruising Club rally, you will need a seaworthy boat. 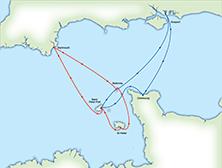 We don't define the type of boat, but we do set some limits on boat length (see FAQs), and we expect you and your boat to have completed an The skipper must have some previous experience of longer passages, and have planned and skippered a coastal passage outside of sheltered waters of not less than 30 miles. 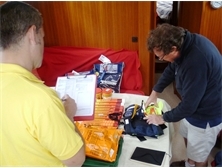 We do expect your boat to carry certain items of equipment, and that you understand how to use these. This includes a list of mandatory safety equipment, see Safety. 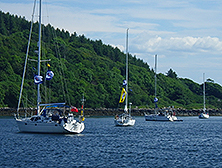 For all our transocean rallies we require boats to be able to send and receive emails at sea. This can be done with a satellite telephone, or with an SSB radio and Pactor modem. We will send the weather forecasts, boat positions and important fleet information by email. For ARC Channel Islands, you are not required to have satcoms or SSB radio, but you do need an installed VHF radio. SSB radio is the traditional cruisers communication method, and is a great way to meet new people and gather cruising information. 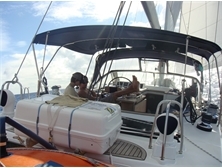 If you are sailing round the world, or considering extended cruising, then an SSB is very useful. It is important to have it installed professionally, and to really understand how to use it - taking a course is a good idea. An AIS receiver is transceiver or receiver is not mandatory for the ARC Channel Islands, however it is a highly recommended piece of equipment. Almost any boat can become a successful cruiser. Most of the boats that take part in our rallies are standard production boats from well-known builders. Almost more important than the boat itself is to check and double check every system for faults, and to spend time and money maintaining the boat and equipment. Windflower III is a Bavaria 46 that has sailed over 60,000 miles with World Cruising Club rallies, including right around the world. When you join the rally you will receive access to the members area which is full of advice on preparing your boat, including step-by-step systems, deck and rigging checks. Understanding how your boat works, and carrying a good supply of tools and spares will help you to be self-sufficient. 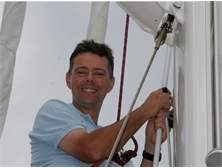 If you are not a natural 'fixer', then take a course or watch when your boat is serviced, and ask lots of questions. There are some great books full of advice on maintaining your boat and her systems, so do some shopping. We'll provide suggestions, or visit our Shop.